In a fast-growing CVT market, production planners are faced with the challenge of implementing reliable production solutions as quickly as possible. EMAG has the answer: establishing complete manufacturing solutions for this application. The result is a customized manufacturing solution from a single source. For manufacturing the pulleys, VLC 200 GT machines take center stage. They are interlinked in a production line. The process is timed perfectly: In the first step, the raw part is labeled, inspected, and measured. The second step consists of vertical hard machining on a total of four pick-up machines. Inside and outside diameters, as well as the curvature of the part, undergo various turning and grinding processes. Additional grinding processes, including “super finishing” are followed by washing and surface inspection. EMAG consults with customers about tool application, machine concepts, control, and interlinking of the machines at an early stage. 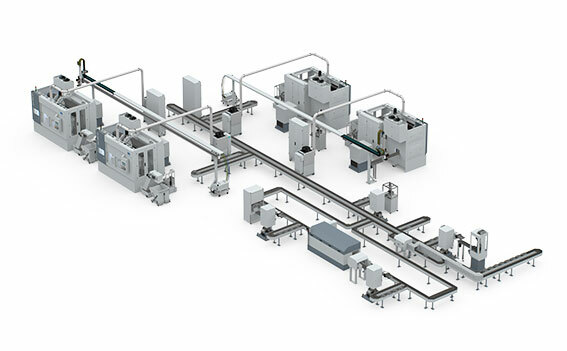 After setup at the production site, users benefit from a line that’s ready for operation – with a drastically reduced planning effort required on the part of the customer. These advantages are gaining recognition in the marketplace.